Here's one more proof that space-themed avantgarde music from Hungary is one of the best worldwide. Well, maybe calling this split "avant-garde" might be a stretch too far - because it's nice but not particularly mindblowing. 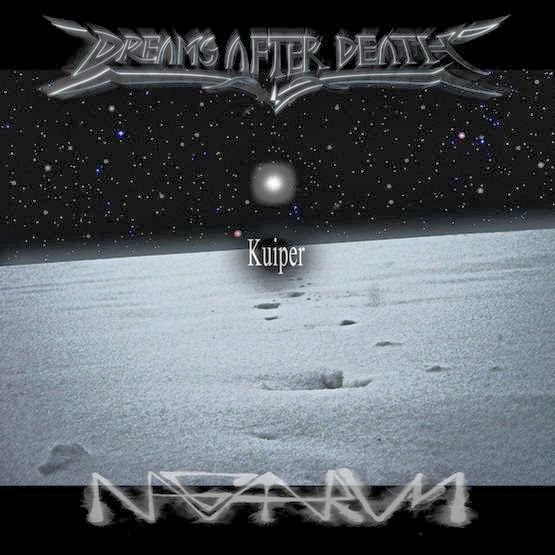 Dreams After Death is an one-man funeral doom project from Budapest, of which I haven't heard before. Nagaarum is an one-man project too, whose only member have played in Sunseth Sphere, Éjfény, Guilthee, and a few more obscure projects. As I have already said, their split turned out to be good, but nothing outstanding (and a bit too lengthy). However, if you're into space-themed music (dark ambient and doom metal in particular), or Hungarian underground scene - you won't be disappointed IMO.